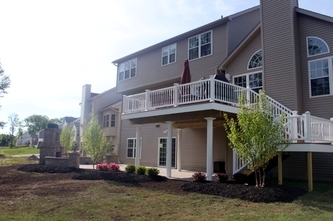 Materials: Unilock Brussels Brussels Dimensional Coffee Creek, Unilock Antara Pavers. 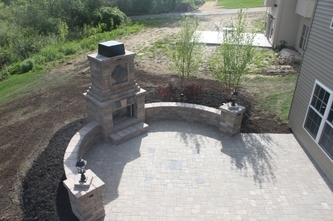 Columbus Paver Patio, an Akron Ohio Landscape contractor completed this Paver patio and Outdoor Fireplace in Akron Ohio using Unilock pavers. 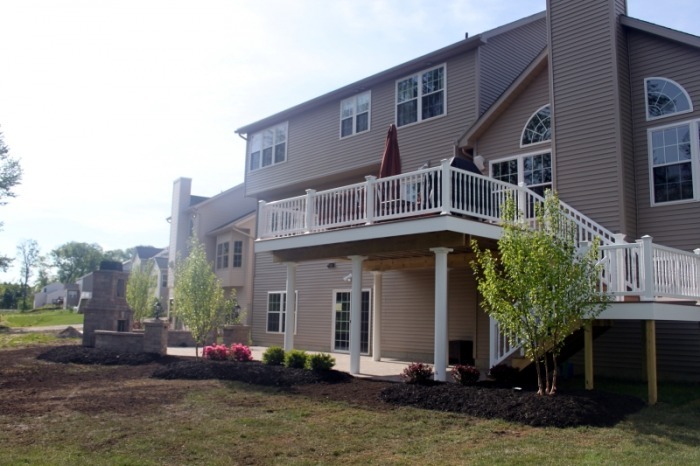 The total area of this patio was approximately 800 square feet. This paver patio in Akron Ohio. 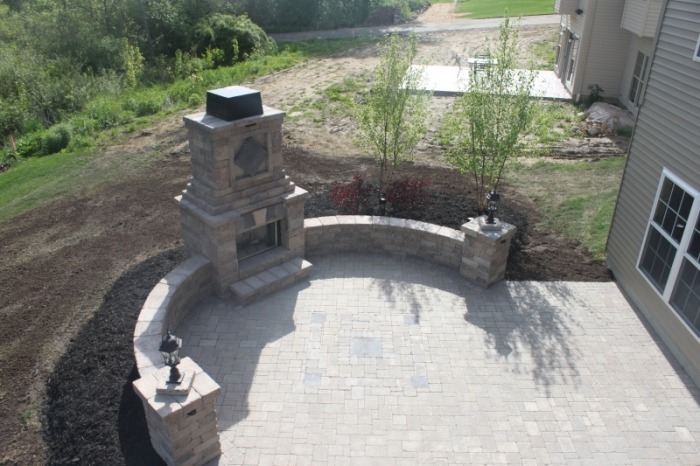 The paver patio design and installation project involved building an outdoor fireplace, paver patio, timbertech composite deck, retaining walls, outdoor lighting and landscaping. 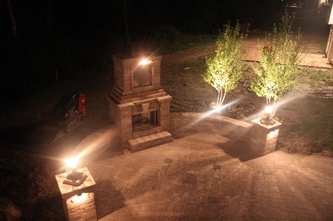 This Akron landscape installation consisted of using the brick pavers to create an outdoor living space off the rear of the home to create a welcoming outdoor living area. 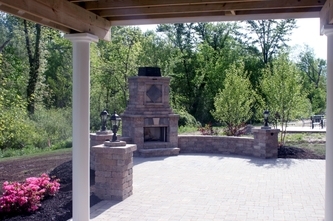 The total area of this Akron paver patio was approximately 800 square feet. Feel free to contact Columbus Paver Patios, an Akron Ohio Landscape Contractor for a no obligation free quote on your next firepit, fireplace, outdoor kitchen, outdoor lighting or waterfall.